The first one was better, but this moved forward. I didn’t care for all the “baby drama,” but this story did progress the plot towards the next book. I think the narrator sounds jus5 fine— he’s clear and easy-to-understand. Can you imagine how hard it’d be to understand if everyone had a “real” Irish accent? Tormented rock star Liam O'Reilly left Dublin and achieved success, hoping to build a new life free from the demons of his past. Now that it seems he's gotten everything he ever wanted, why isn't he happy? Is it because he's realized the most important thing in his life is the promise he never kept? Once a popular and lively schoolteacher, a car accident has wrecked Rain O'Donovan's life so that her only pleasure is walking in the rain, and her world revolves around mundane tasks, devoid of hope for the future. Hooray for Liam and Rain! A little overwrought with drama and misunderstandings, but it all came together in the end. 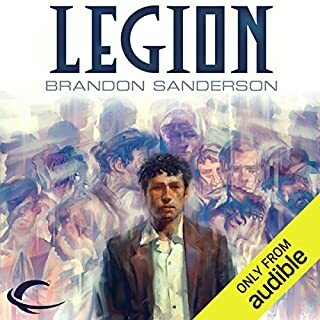 I thought the narrator was excellent. It was always obvious who was speaking and what was going on. Each character had a definite "personality" of voice. Overall, I'm looking forward to the next in the series! It was fun, and it was nice and short. Some stories seem very padded out, but this was just as long as it needed to be. 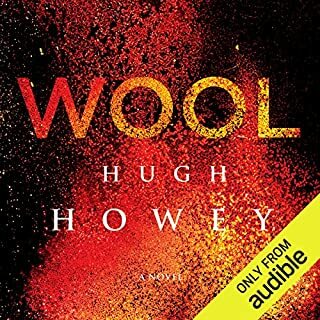 Where does Wool rank among all the audiobooks you’ve listened to so far? One of the best. What's REALLY going on in the silo? What other book might you compare Wool to and why? Which character – as performed by Amanda Sayle – was your favorite? Etherium made me lots of money. If you could sum up Ethereum in three words, what would they be? What was one of the most memorable moments of Ethereum? 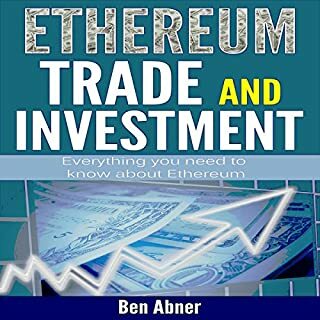 I didn’t know much about Etherium before I read this book, but it cleared up a lot of questions that I had. What about Kevin L. Knights’s performance did you like? He spoke very clearly throughout the book, and made it all very interesting. Bitcoin is a digital currency and also a digital payment system. It is widely used all over the world as a cryptocurrency and is accepted as a means of exchange, in trade, investment, and savings. Bitcoin was invented by someone by the alias Satoshi Nakamoto in 2009. His real name is not known. Some suspect it was created by a group of programmers by the same pseudo-name. However, this currency has gained worldwide acceptance and is very popular due to its many benefits. Would you listen to Bitcoin: How to Go from Beginner to Pro in Bitcoin again? Why? I learned a lot from this book. The narrator was very good, and made what should be a very boring subject interesting. I’ll look for that guys other book soon. 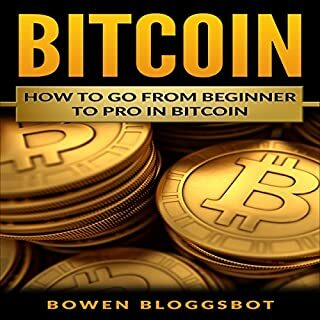 What other book might you compare Bitcoin: How to Go from Beginner to Pro in Bitcoin to and why? I have never read another bitcoin book so I have nothing to compare it to. Have you listened to any of Kevin L. Knights’s other performances before? How does this one compare? Kevin Knights has a very clear and distinct voice. He makes even boring topics interesting. Not yet, but if I make a lot of money on my bitcoin, I’ll be very moved.